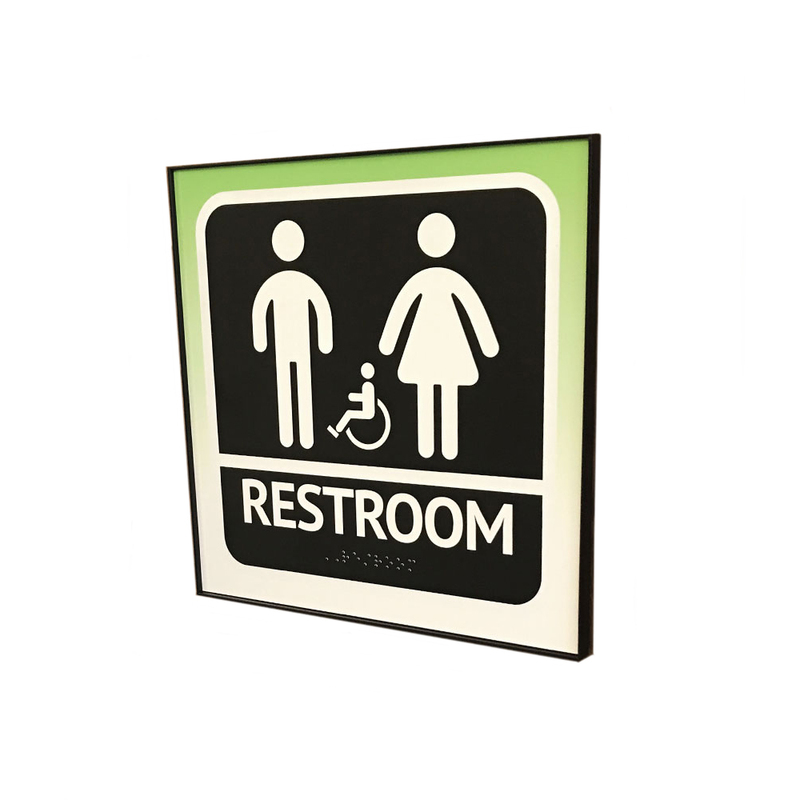 ADA signs in any size are custom printed in compliance with ADA regulations. 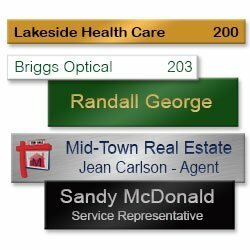 Vibrant, raised printing printing is durable and long-lasting. 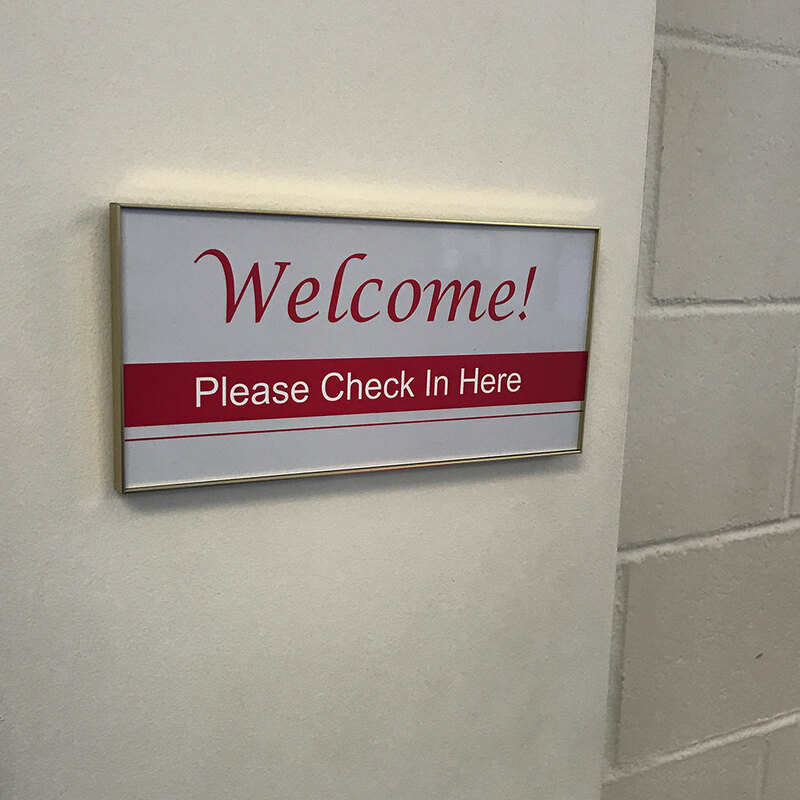 Choose metal or plastic signs, with frames or without, adhesive backers and dozens of options to create the perfect signs for your facility. 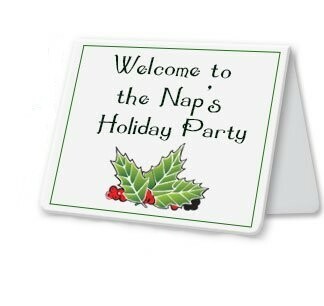 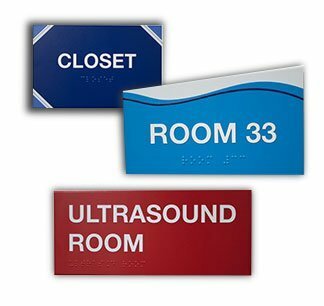 Unique signs for doors, walls or cubicles. 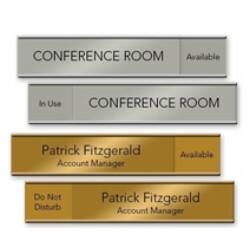 Unique, Executive Name Plate Holders with Extra Flair and Flexibility. 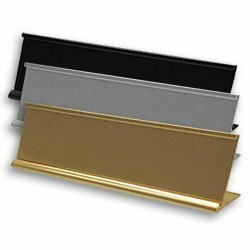 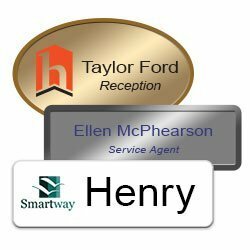 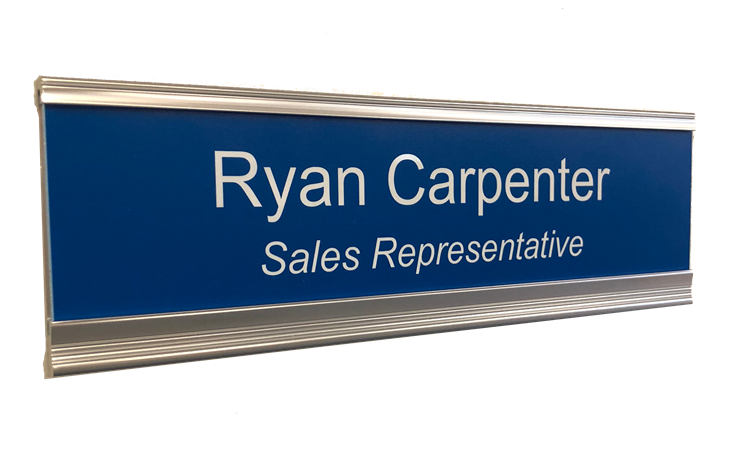 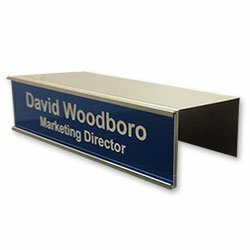 Executive name plate holders with a sleek, modern design add a polished, professional flair to the walls or doors in any office, boardroom, conference room and more. 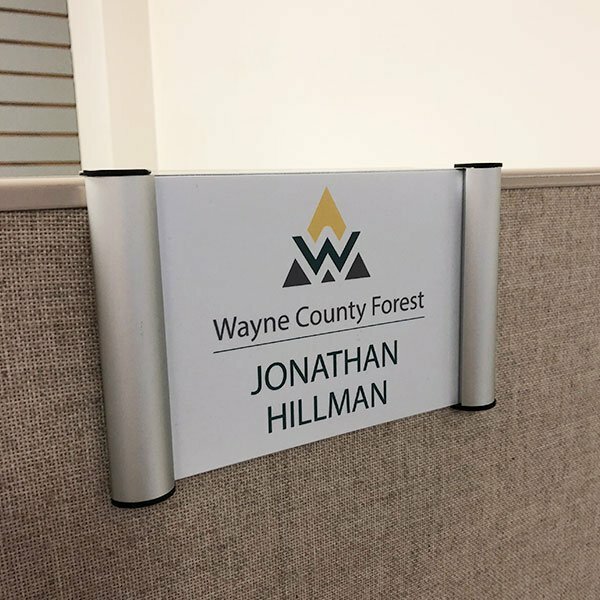 One side has a thick border, and the other has a thin border, which can be flipped either way for the ultimate in versatility and office design.